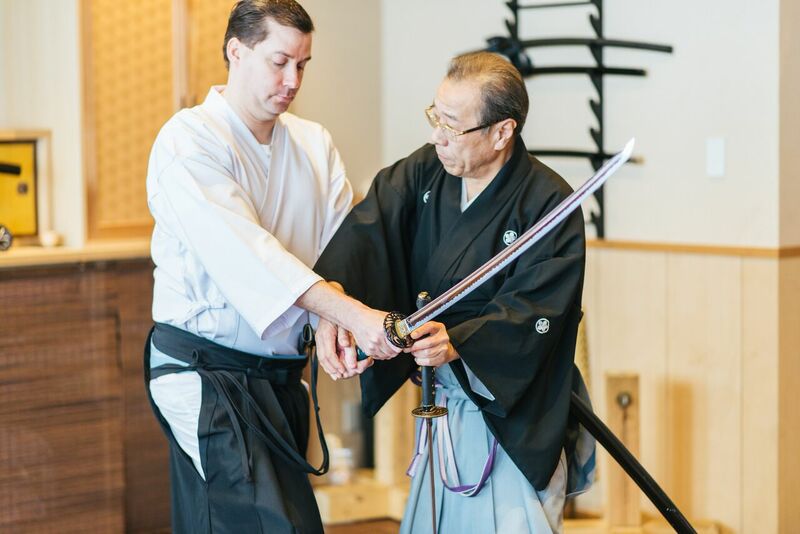 Chop up tatami mats in this private lesson with the sword-master descendant of a samurai, where you will learn about Japanese curved katana swords and how they are handled. The lesson is taught in Ginza (the heart of Tokyo) by a 7th-level sword-master of the Hisui-style of Iai sword drawing, who has won the grand prize at sword competitions in Japan and around the world. During the lesson, you will even get to wear the traditional style of kimono worn by the samurai, including the hakama kilt. Your translator guide will pick you up at your hotel and bring you to the training dōjō in Ginza. 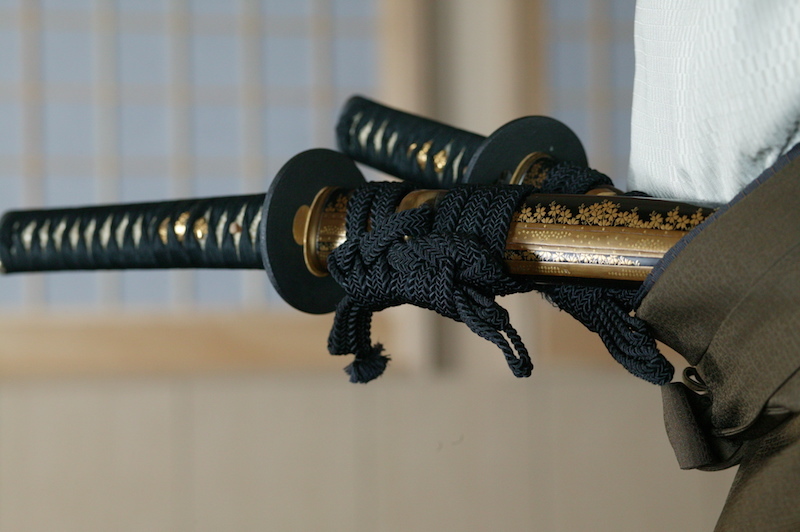 After you meet the sword-master, you will be instructed in how to put on the traditional kimono worn by samurai. The sword-master will explain and show you various swordplay techniques in the Iai-style of sword drawing, and correct your form as you try it for yourself. This style of swordplay focuses on the fast unsheathing techniques used to draw the sword and immediately disable your opponent. 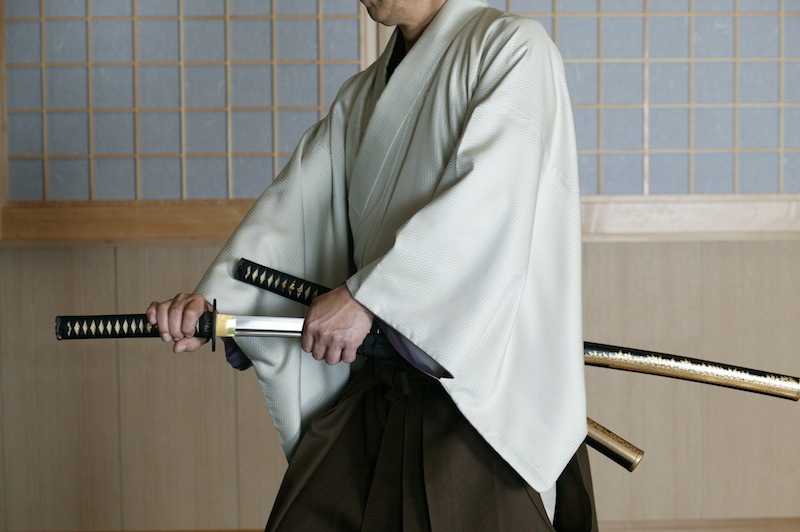 Your teacher is a 7th-level master swordsman in the Hisui-style of Iai, and he has done sword performances at many of the most important shrines in Japan (Ise Shrine, Meiji Shrine, Yasukuni Shrine, etc.) as well as other locations in Japan and throughout the world. 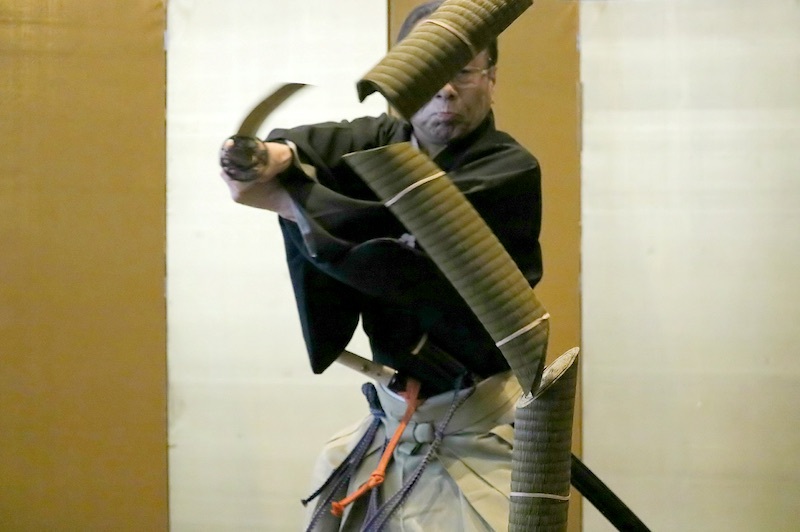 You will also get the incredibly rare experience of "tameshigiri" – chopping up grass tatami mats with a real sword! After watching the master swordsman's demonstration you will get to attempt to cut the mat and compare your results. As you will learn in the lesson, when you have too many things on your mind, and when you try to be more than who you are, you will be unable to cut well. A major highlight of the lesson will be on concentration without thinking too much. The full lesson will be translated by your private guide, who will also translate any questions you may have for your instructor. After the lesson is over, you will be free to explore Ginza or travel wherever else you would like to in the city. Informative, friendly, and professional guide. Note: This activity uses real swords, so it is very important that all participants follow the sword-master's instructions. For safety reasons, some individuals (especially very active or inattentive children) may not be allowed to use the swords and participate in the mat cutting exercise. This decision remains with the sword-master, and we cannot refund any individuals who are not allowed to use the swords. We thank you in advance for your understanding. One-way subway transportation to the lesson. All taxes, fees, and handling charges. Anyone younger than 16 years old MUST be accompanied by an adult. All passenger ages MUST be advised at time of booking. All passenger heights MUST be advised at time of booking. Not recommended for participants with back problems or medical conditions. Includes tax. Tip not included (optional). Cancellation Policy: Cancellations made at least 7 days before the scheduled departure will receive a full refund. Cancellations between 3 and 6 days before the scheduled departure will incur a 50% cancellation fee. If you cancel within 2 days of the scheduled departure, you will be charged the full price of the tour (100% cancellation fee).